Nutritious Bhel - Healthy Street Food! Bhel is a lip smacking street snack found all over India. I was hooked onto its sweet spicy tangy taste from a very early age. Every street in Mumbai probably has its own Bhelwala bhaiyya(vendor). But sadly due to hygiene concerns, bhel never made to my dad's list of approved foods. I would wearily eye the mounting heaps of kurmura, sev, channa as i passed by the vendor on my daily commute to school. Once a while my dad would give in and let me feast on bhel but only in his approved restaurant - Kailash Parbhat near the Colaba Market. So every trip to Colaba market raised hopes for me that today might be my lucky day. My childhood craving got even stronger as i grew up. Most of my college pocket money was spent on roadside bhel without any mention at home. And i took my bhel passion to the maximum when i finally started working. Every evening as the clock struck 4 pm, i would join my colleagues for a bhel feast- bhelpuris, panipuris, chats. By now my dad had given up on me. Destiny had another plan for me. Post marriage, i had to relocate to Malaysia. To my utter shock i found out that there are no bhel vendors out there. I craved and pined for it. Most Indian grocery stores were run by south Indians which didn't carry even the ingredients of bhel. So no way i could even try a feeble attempt to recreate the same magic at home. After much hunting, we discovered that some fine dining North Indian restaurants served bhel as an appetizer. The thought of enjoying a street snack in a luxury ambiance would usually lose appeal but my desperation drove me to that restaurant many times. Probably the heavens took pity on me and relocated us once again, this time to US. I was thrilled to find not only groceries stocked with bhel supplies but some food courts also had Bhel vendors. Though i still miss the street food flavor but this is the closest i could get. I regularly make bhel at home as an evening snack with tea. Today i was finding options to make a light dinner. Hubby suggested bhel. Since i always maintain healthy eating habits for at least main meals, i though of converting this street snack into a healthy meal. Most of the calories in this dish come from the fried elements added into it. So i replaced them and added lots of fruits and veggies. In a pan, heat the oil. Add cumin seeds and let sizzle. Add the puffed rice and turmeric and roast for a min or two till crispy. In a big bowl, add the roasted puffed rice and all the vegetables, peanuts and fruits. 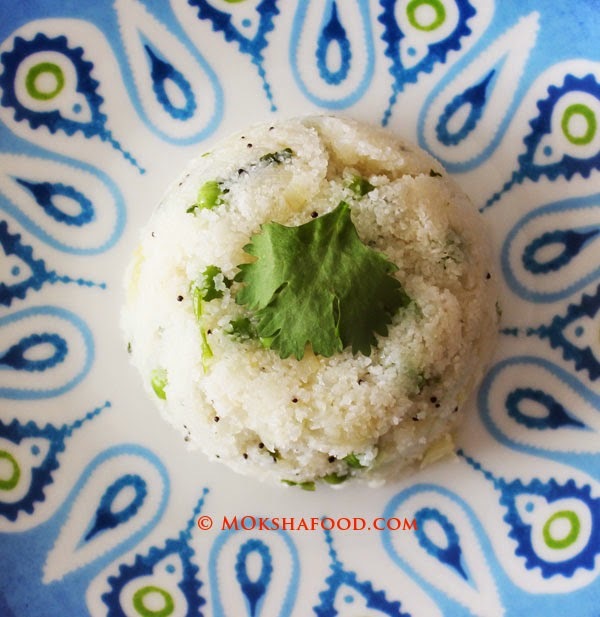 Add chaat masala and lime juice.Mix well and taste to balance the dish. It should be tangy. 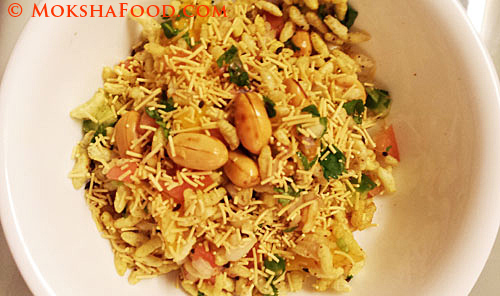 This dish satisfies my cravings for bhel without the guilt of loading calories and eating junk. 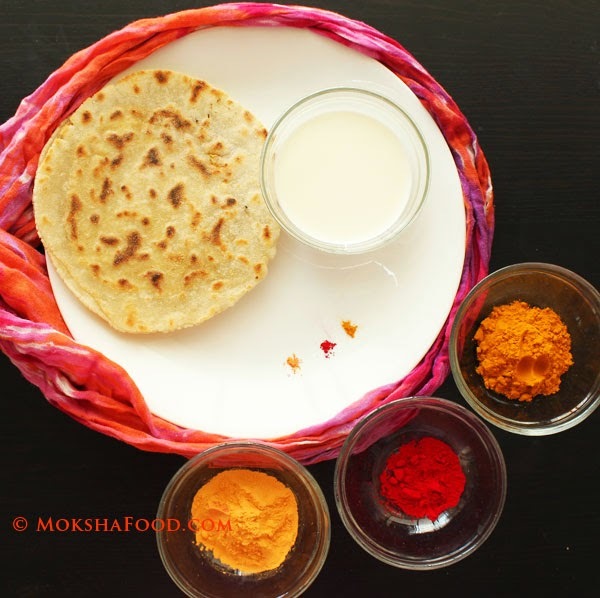 Tips to Eat Gluten Free at Indian Restaurant! 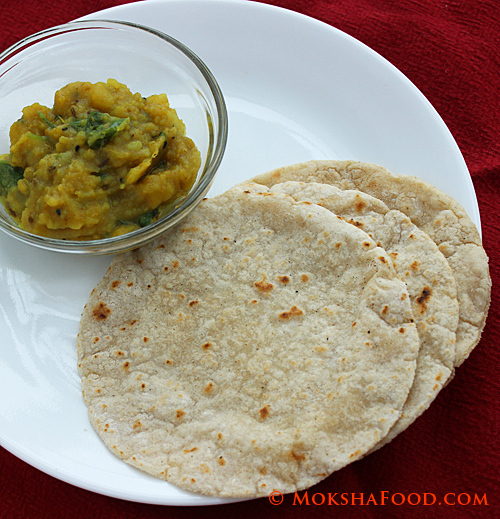 Bengali Khichuri with Gujarati Kadhi!